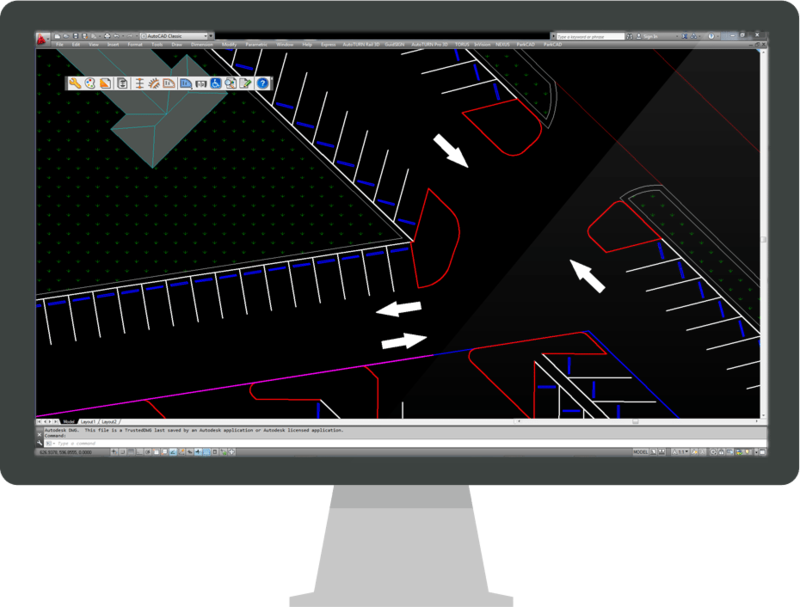 Let ParkCAD automatically run different combinations of row layouts, rotations, and positions to create the optimal parking space yield based on your parameters. You then simply review the iterations and choose the best one. Save time, effort, and costs..